I support Wreaths Across America. 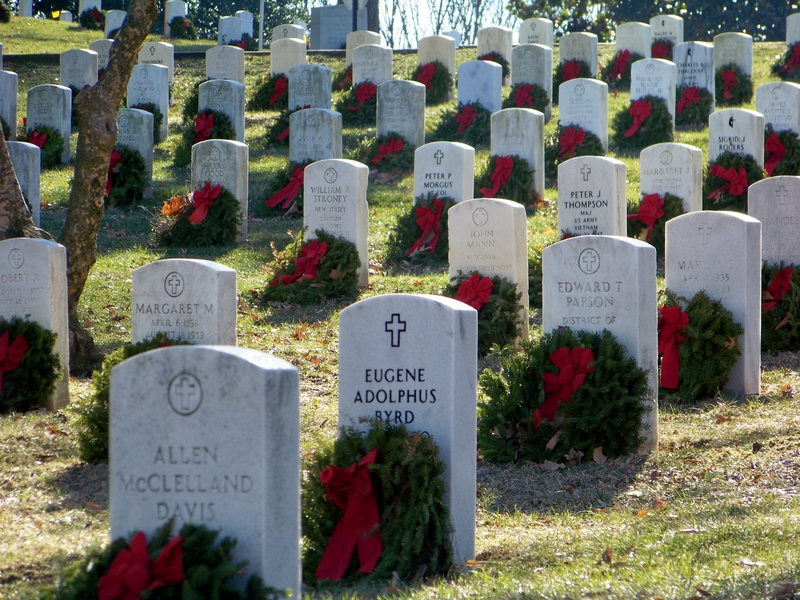 They will be laying wreaths at Arlington Cemetery next Saturday Dec 15th at 8am. This holiday season and Memorial Day weekend, these grounds seem to look so special and to me the most beautiful besides the fall when the trees provide color to the vast rolling hills. But they are very different. Memorial Day invokes a great sense of pride and almost a smile. Christmas evokes the loss of family, very special memories and tears. Maybe one of these years I’ll get down and help with the laying of the wreaths. I thank the many who volunteer on these cold December days. Working my hardest, on relaxing. I think my cell phone is more charged than I. My children are teaching me. Of course they have been since birth. I’m just so glad I’m open to learning from them. I’m already anticipating Sunday breakfast. Think I’ll have a glass of OJ before bed to quell the cravings. Categories: Arlington National Cemetery, Life, Photography by Mike Hartley | Tags: Arlington National Cemetery, life, photography | Permalink.